I wanted to show you the delightful iRebell shop on Etsy. 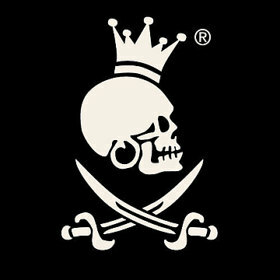 This German company specializes in alternative bags, handbags and some home decor (mostly pillows). 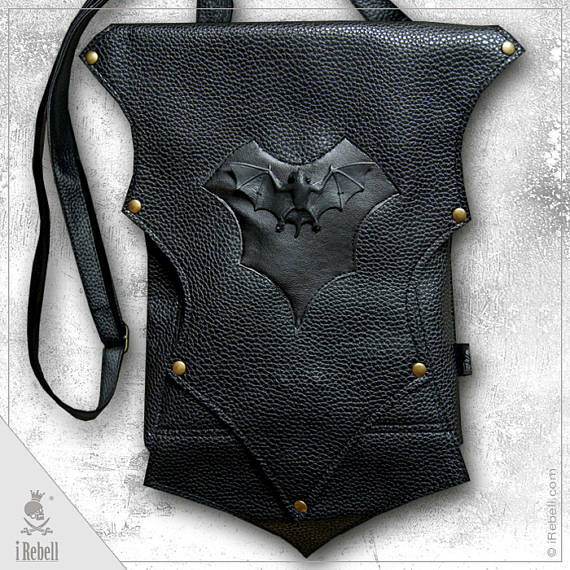 Here's their Vampire shoulder bag, which seems to be a nice unisex option. 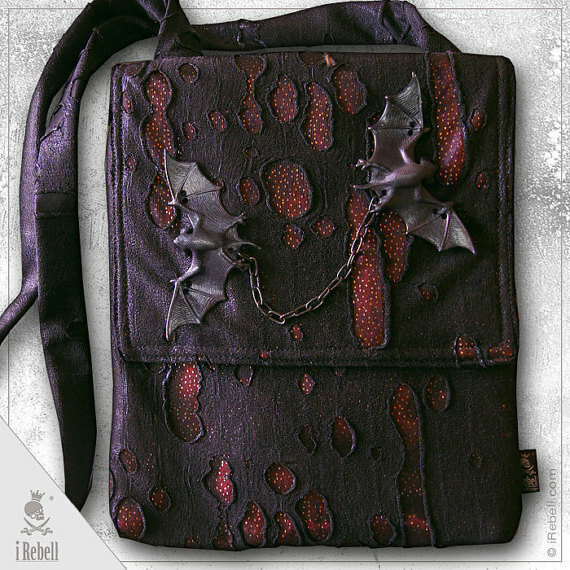 This is their "Vampires Flight" shoulder bag. 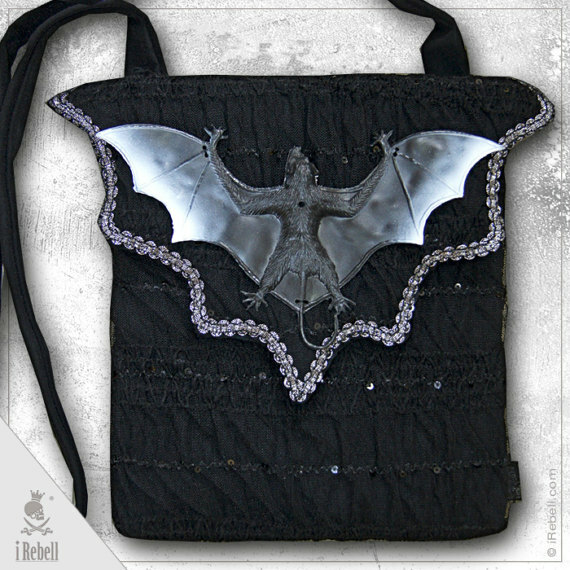 I love the lacy look of this Vlad gothic shoulder bag. 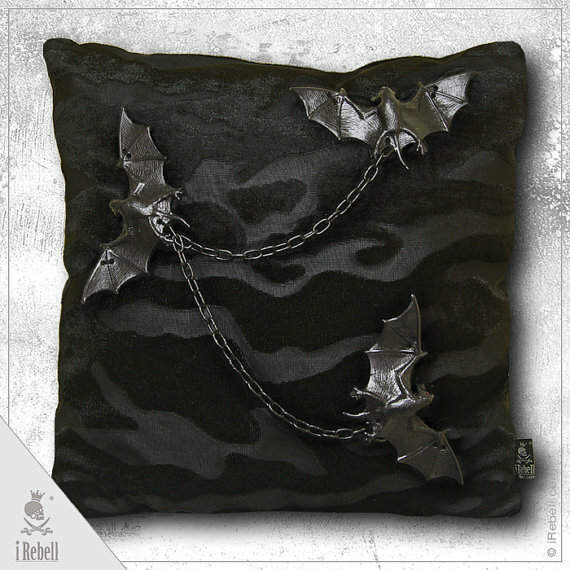 Here's their Vlad pillow for your vampire-themed bedroom! See what else is for sale at the iRebell shop!